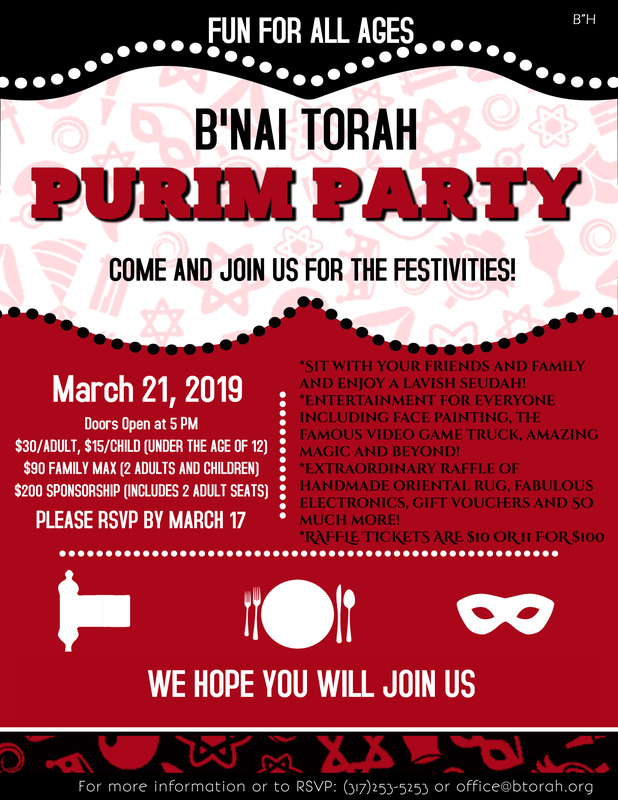 The Bnai Torah Purim Seudah will take place on Thursday, March 21, at 5 p.m. We are anticipating a very exciting event including a wonderful meal, an auction & fun for the entire family. You don’t want to miss this event! Please contact the Shul office to reserve your spot & to be a sponsor. See here for more details. We thank Rick & Caryn Bentley for hosting Rabbi Ariel Shoshan. A very nice crowd attended & his remarks were well received. A spirited question & answer session followed his presentation. See here for photos taken by Dr. Jack Cotlar. There will be a Chanukah Party at B’nai Torah on Motzei Shabbos, December 8th, 8 p.m. There will be fun family activities, delicious holiday foods & special prizes. The flyer is here. The annual shul dinner will take place on Sunday, October 28. Mincha is at 5 PM, followed by the dinner. Marty & DeAnn Silverman will be honored with the Community Service Award. Kosher Sushi at the J Cafe!!! 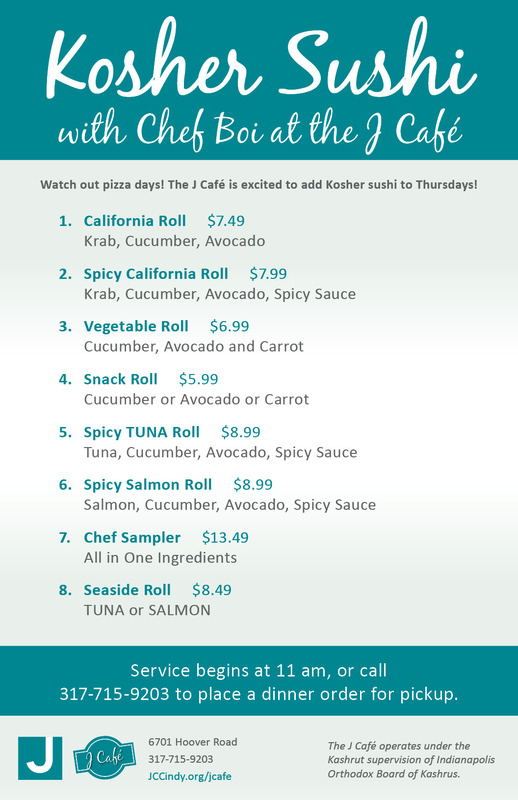 We are delighted to inform you that starting Thursday, October 4, kosher sushi is prepared at the JCC Café every Thursday. Click here for details. We would like to express our appreciation to the Indianapolis Orthodox Board of Kashrus (IOBK) & the JCC Café for their diligent work to make this possible. Due to the popularity, you would be well served to order ahead (317-715-9203). Enjoy! Kitzer Shulchan Aruch: Monday evenings at 6:30 p.m.
Tehilim: Wednesdays at 7:30 p.m.